Today it is Midsummer, the summer solstice. It's been a dreamy day here in Bristol...bright blue skies with the occasional puffy cloud floating by, the sun blazing down and the cheerful clink of ice in a glass. There's a hint of breeze every so often and it's gloriously hot, but not ridiculously so. A perfect summer's day. 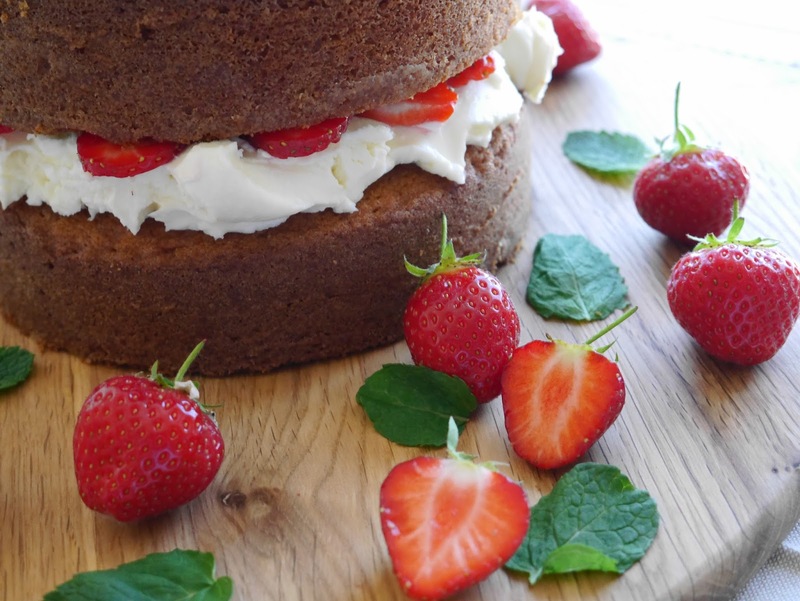 The only way to make today, and indeed any other day, awesome, is to add cake. Well, a Lottery win might work, too. 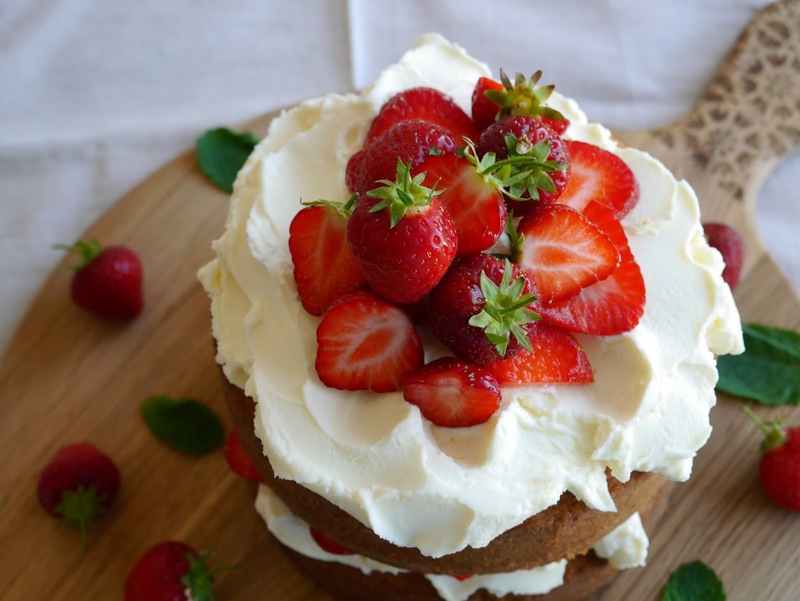 I've been eyeing up this strawberry and elderflower cake on Pinterest for a couple of days. The styling is just gorgeous--every picture makes me want to grab a fork and dive right in. Since I've just made a bottle of elderflower cordial and the fridge always has at least one punnet of juicy English strawberries in it at the moment, it seemed like serendipity. A cake that just had to be made. This is a super-easy cake to make. I love how towering and abundant it is with the strawberries piled as high as I could get them. 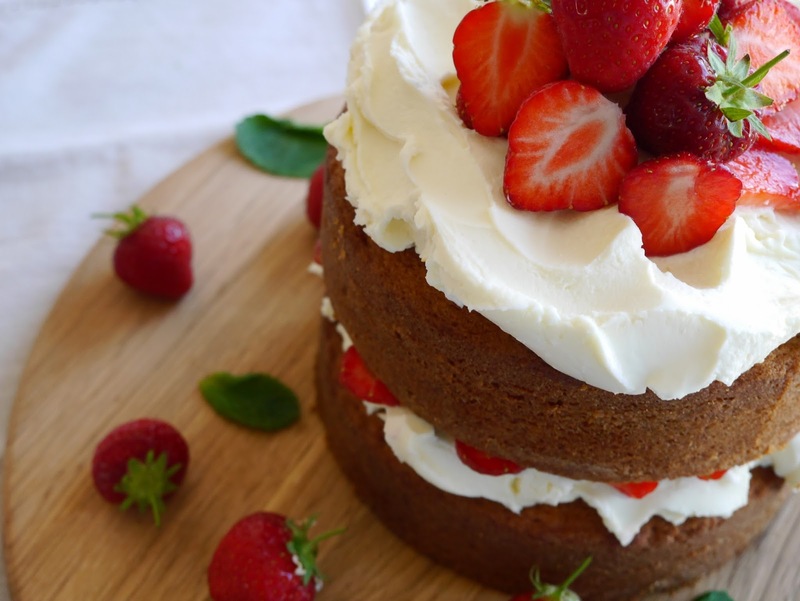 This cake is just as lovely as it looks. The elderflower flavour is subtle, but that could just be down to my homemade elderflower cordial not being quite as strong as the big brand ones. Taste your elderflower filling before slathering it onto the cake!! Still, I'm quite happy to drizzle a little cordial over the cake to pump up the elderflower flavour. You don't want too much elderflower, though, otherwise you'll drown out the berries which would be a crying shame. 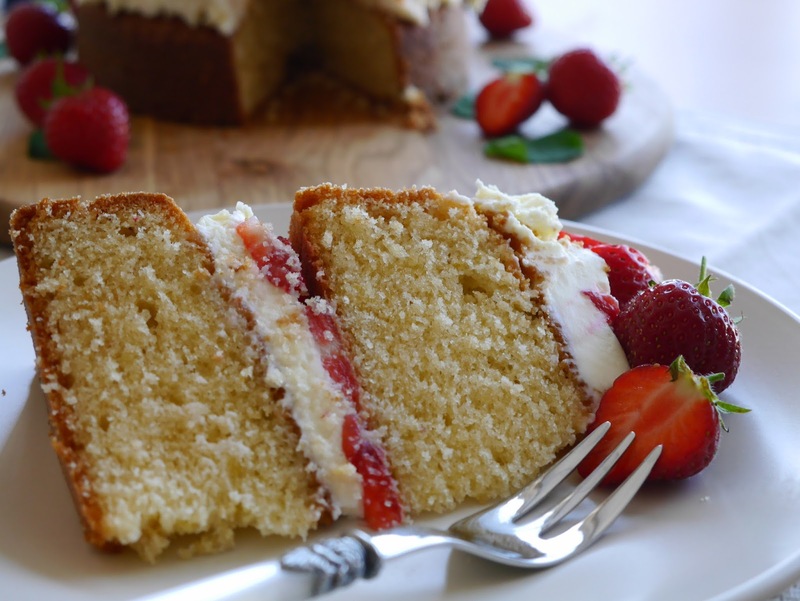 You can find the recipe for this gorgeous cake at Call Me Cupcake blog. a new-to-me blog that I'm going to spend the rest of the weekend drooling over! Aww, thanks so much, Nicole! Nom nom nom. That's about it.